Andy J. Egan Co., Inc. Since 1919, Egan has been the mechanical contractor that West Michigan construction managers and building owners depend on for the highest quality work. We employ more than 250 of the region’s top skilled laborers -- along with in-house engineers, BIM specialists, a fleet of maintenance technicians, and other professionals that make Egan a reliable, full-service contractor. Egan is leading the nation in the application of construction technology. Our use of 3D coordination, Building Information Modeling, high resolution reality capture and other VDC best practices ensures that projects are highly accurate and delivered on time. Egan has established a new Preconstruction Department with the promotion of four employees: Ben Whitely, Preconstruction Manager; Paul Steenwyk, Chief Estimator; Mike Brander, Preconstruction Services; and Mishell Swarts, Document Control. 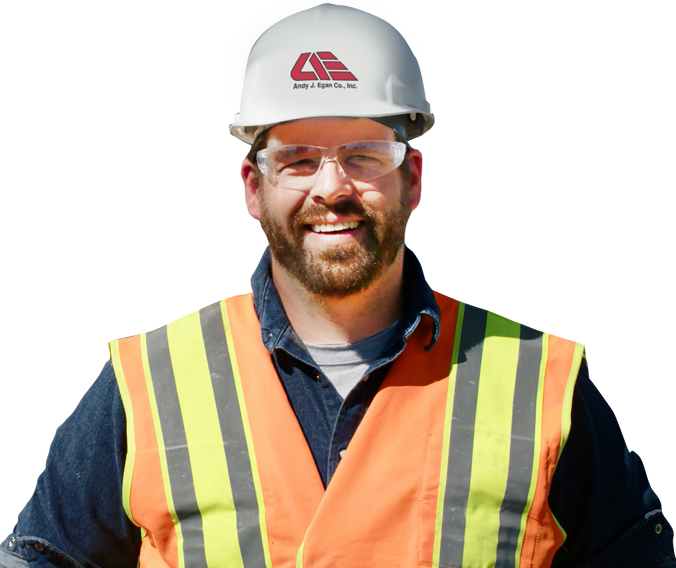 The team has a combined 94 years of experience in mechanical contracting and construction. Egan presented Camp Sunshine with a $10,000 donation yesterday, as part of the company’s $100k Community Giveaway. The company is awarding 10 West Michigan charities with donations in 2019, in celebration of its 100th Anniversary, and Camp Sunshine is the second charity to be selected. We employ the industry’s best practices to help our customers reduce change orders and material waste, increase productivity, make job sites safer and provide long-term cost savings. Unique as a single-source for complete construction packages, Egan offers mechanical contracting, design, fabrication, controls and 24/7 service for commercial, industrial and institutional applications. A fourth-generation, family-run company for nearly a century, Egan has deep roots in West Michigan. Read more. We’re an 11-time recipient of West Michigan’s Best & Brightest Companies to Work For. Learn why. Our safety statistics are above the industry average. Learn more about our program. When quality counts, Egan is West Michigan’s only single-source mechanical contractor with the experience, technology and capacity for projects with the most rigorous construction standards.